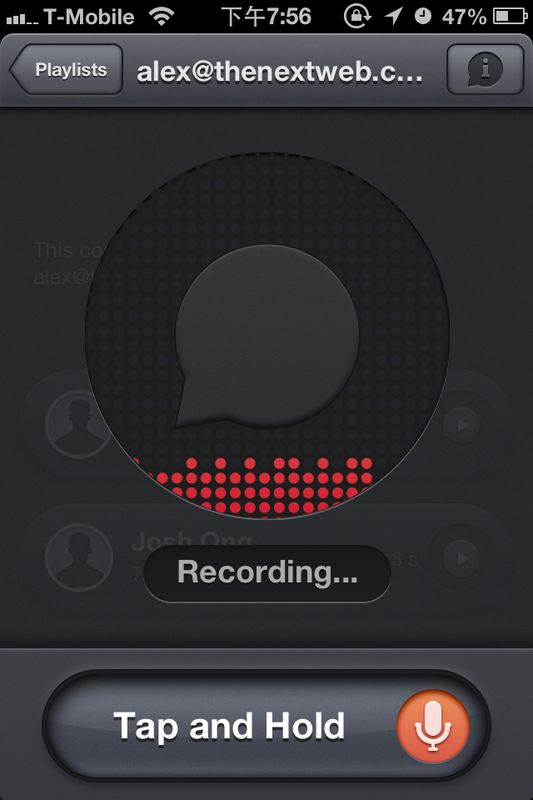 If you’re looking for a quick and easy voice messaging app that works across both Mac and iPhone, the new Pling app from De-De should do the trick. Pling just arrived on the Mac App Store this week, while its iPhone version has already gone through a few updates on the App Store. The Mac app drops an icon in your menu bar that pops open a window with your chat history. If you want to start a new conversation, just click the plus button, add contacts and then click and hold the microphone button to record. I always get a bit of stage fright when using these kinds of messaging apps, so I like that they’ve built in an easy cancel feature. 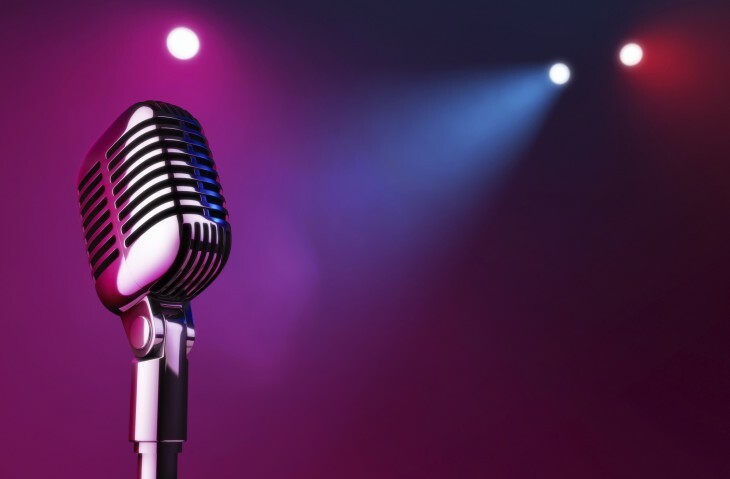 If you don’t want to send your message, just move your mouse away from the microphone button and let go. The other nice thing about Pling is that it works with people who don’t use the service. You can type in an email address and it will send them an email with a link to your voice message on Pling’s website. The iPhone app also has a similar minimalist design. You’ll use tap and hold to record a message, and you can slide your finger off the button to cancel. Developer De-De’s name stands for Design-Develop. It’s the product development spin-off of creative advertising agency Droga5, which recently launched Spotify’s new US advertising campaign. De-De CTO Robert Spychala told Fast Company late last year that the studio is taking a lean startup approach to its work. 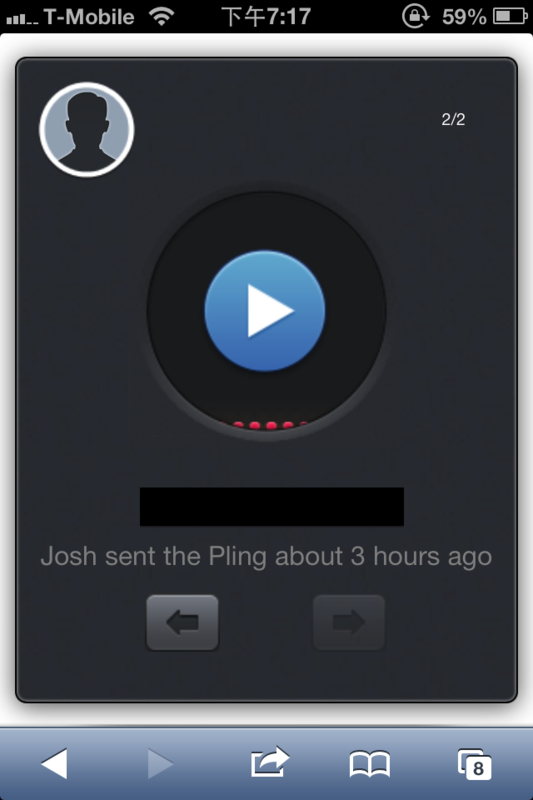 As such, Pling shipped in a fairly early state, but the company’s design ethos is still apparent in the app. The company plans to add in the ability to attach documents and send other types of media, so Pling could actually evolve into an easy solution for remote collaboration. 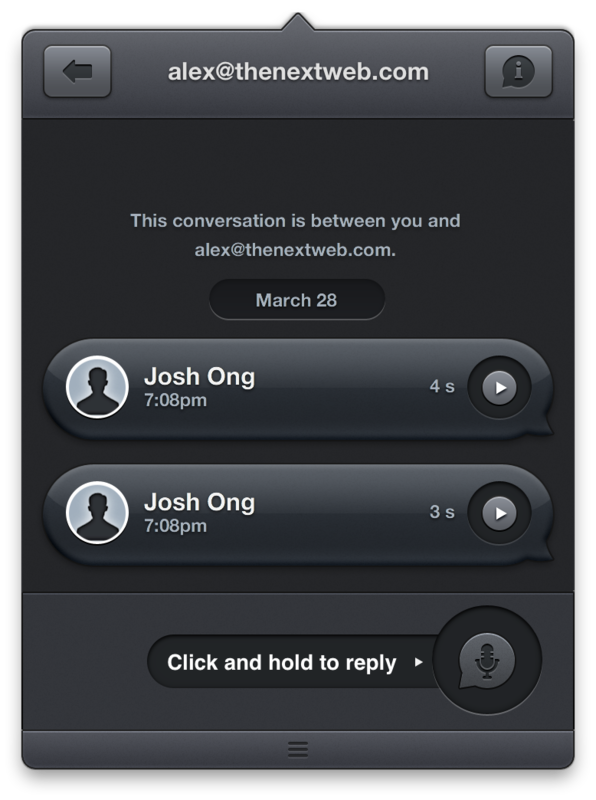 Pling is going to have a hard time gaining traction against pre-existing apps like Voxer, Talkbox, WeChat and even Facebook, but its Mac support does set it apart. Messaging services are headed back toward the PC, so it’s nice to see that Pling has thought this through from the start. Since I spend all day at a computer, it’s nice to be able to send quick messages from it without having to pull out my phone. Unfortunately, we did experience a couple connectivity hiccups. The iPhone app had trouble syncing my address book, and the Mac app once got stuck loading while sending a message. I’m willing to forgive some of those issues since the service is new, but the De-De team will need to sort these out if they want to be heard in the already noisy voice messaging space.